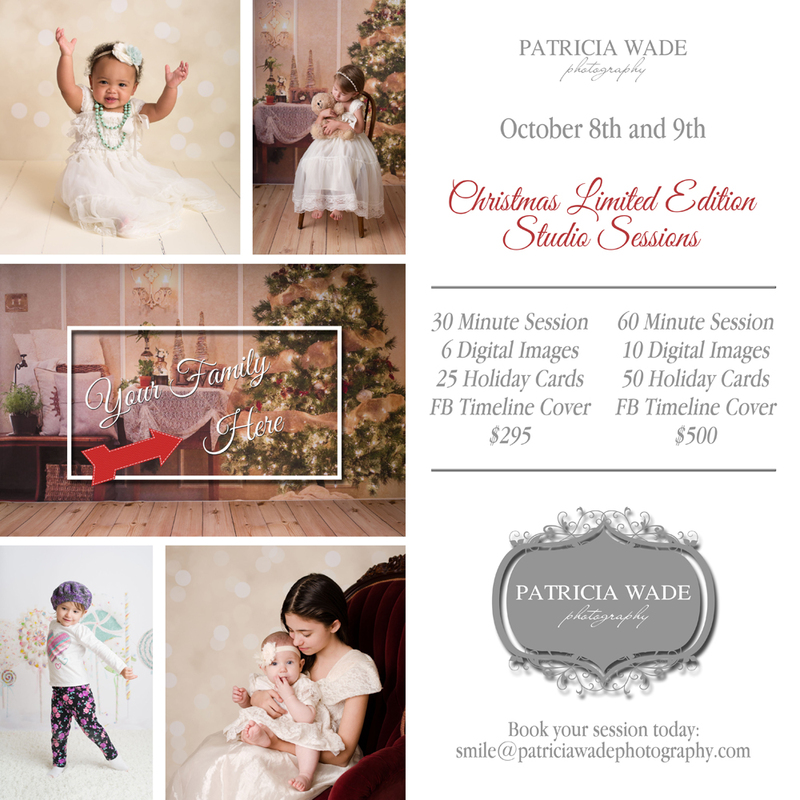 The Christmas Limited Edition Session weekend is coming up fast, and there are just a couple of remaining spots to fill! The Family Backdrop is shown center and top right, plus a couple of very kid-friendly, fun sets – winter lollipop (bottom left), and ivory bokeh/lights (top left and bottom right). Up to 3 children are included at this price. Sorry, babies older than 4 months only, please. This is going to be a fun weekend, so don’t miss out! Book your spot today.